Eden Eastman is giving up on love. Despairing she’ll ever find her soul mate, she flees New York City for the Atlantic coast of Florida where she hopes to pick up the pieces of her broken heart. When an angel on a mission drops into her 5th floor condo, all Heaven breaks loose. Where can I start with this one? By referencing the wonderfully, witty writing, the sharp characterisation and the brilliant dialogue? By quoting some of the best-set humorous asides and narrative set plays? Or by mentioning the quite fantastic twist at the end? Perhaps I'll start with this admission. I am not generally a reader of romantic stories, and I generally err towards more masculine fiction. I've also a bit of a stiff upper-lip, being a Brit. But, and here's the rub, this excellent short left me with a real lump in my throat. And if only for that, it deserves to be a bestseller. Garden Girl "Reads N Seeds"
Marilyn Baron has done it again with her latest supernatural romance, Follow An Angel. With its sympathetic characters, mesmerizing plot, and highly satisfying ending, this book is a real page-turner. Review by Dean Giles, Author, London, UK "Ghost in the Machine"
Eden Eastman plays the New York dating game with little success and starts to believe that love is not her calling. Then, when she finally thinks she’s found an ideal suitor, he stands her up. It’s the final straw and forces Eden to make some life changing decisions. She leaves her six figure job on Wall Street to spend time alone at her parents’ condo. Here she meets an angel who changes everything. Funny, charming, and clever - I really enjoyed this short story and highly recommend it. After being stood up two weeks before turning 30, Eden decides to take a leave of absence from work, love, and her life in New York. She goes to her parents’ beachfront condo in Florida. Eden Eastman is looking for love and her biological clock is ticking. And she's been stood up. But this isn't another moan and groan story. 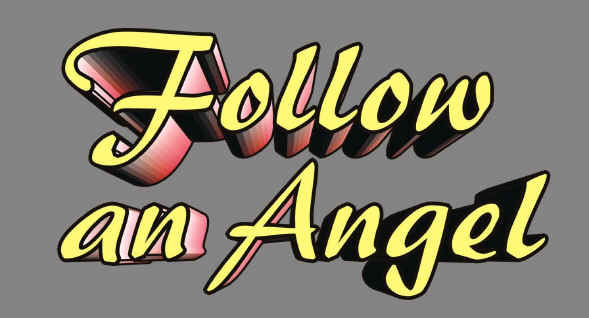 Marilyn Baron's Follow An Angel is witty, intelligent, totally up-to-date - I mean, an angel that tweets and has a Facebook page! It's a great read and what a fabulous twist at the end. Oh I just LOVED Marilyn Baron's Follow An Angel and can't wait to read her next offering!